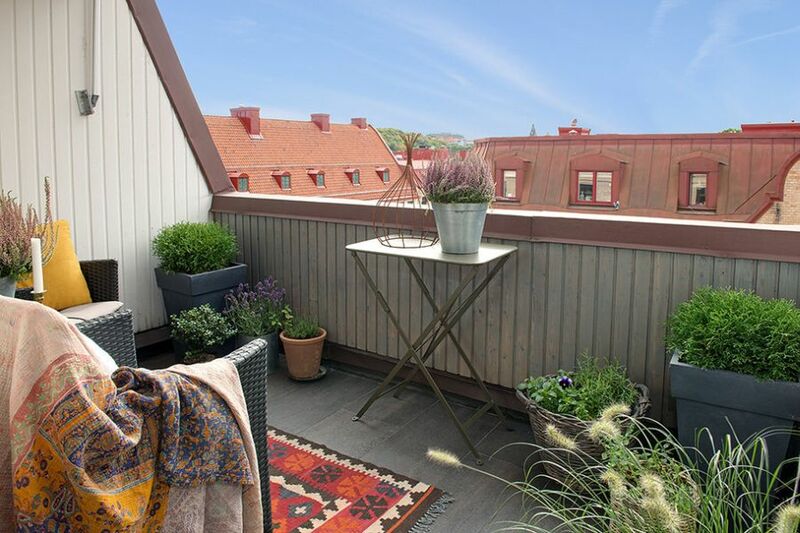 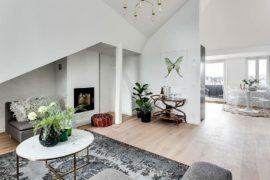 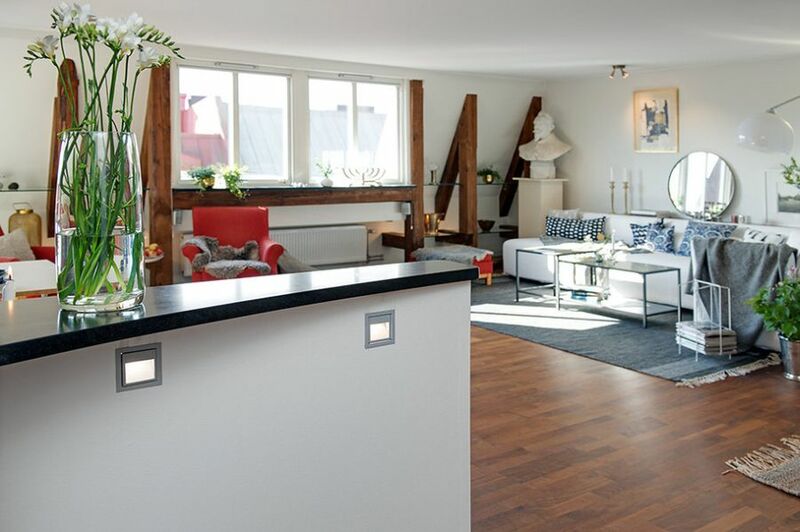 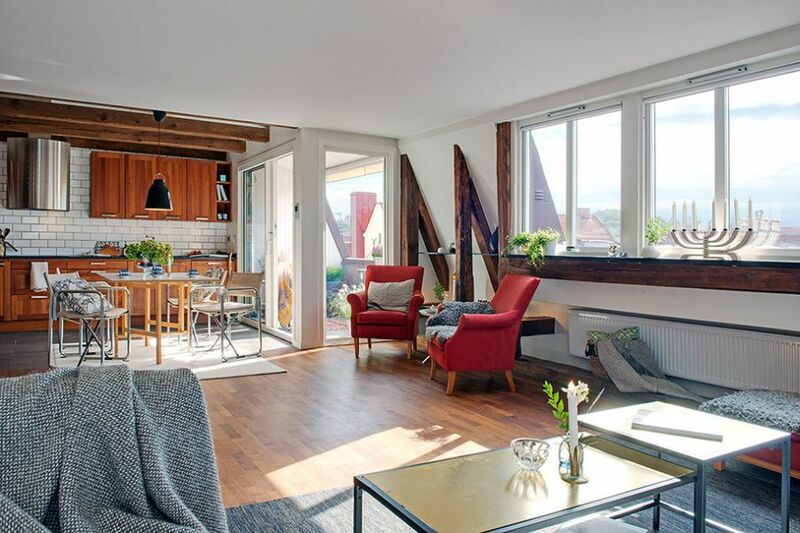 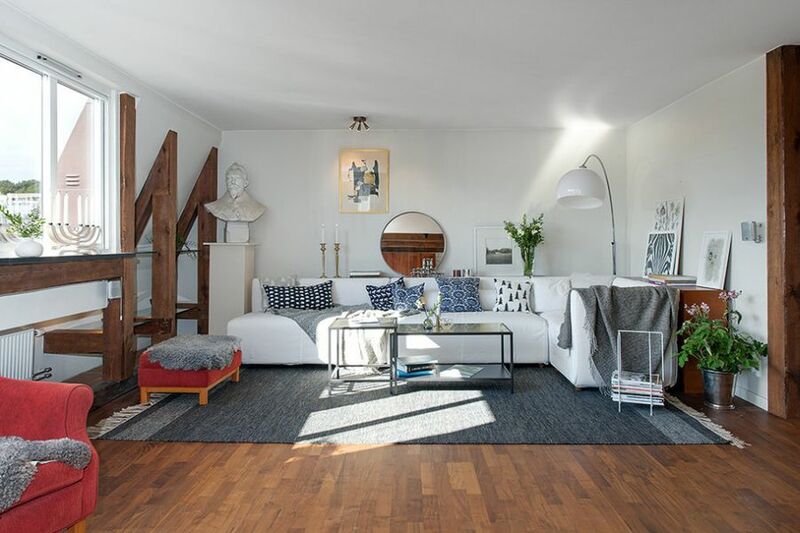 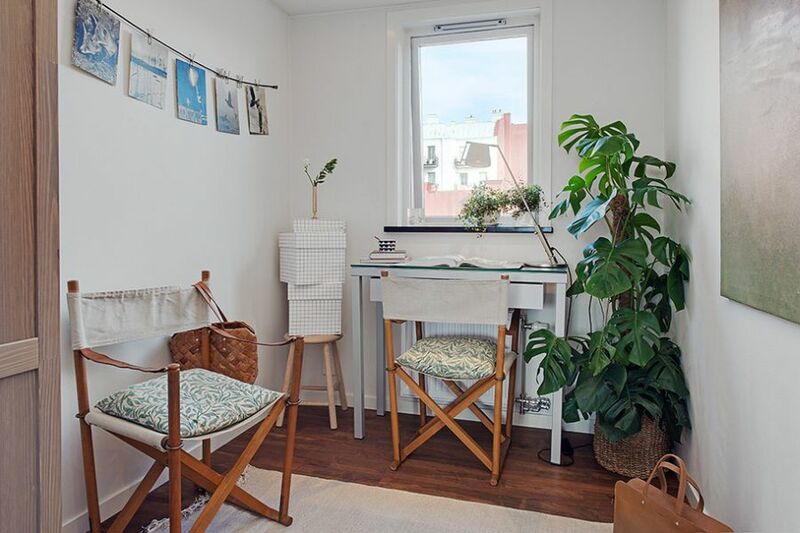 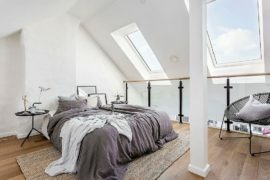 Promising plenty of sunshine, great views of the city of Gothenburg and a stylish interior, this 82 square meters Swedish apartment is indeed a little nugget of joy. 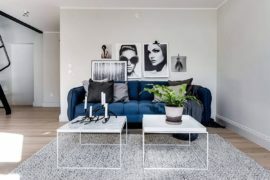 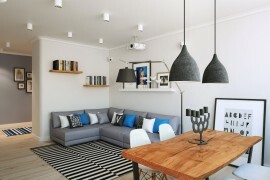 While most Scandinavian homes present an interior in clean and pristine white backdrop along with one or two bright colors that light up the space, this fabulous apartment has an inimitable look of its own. 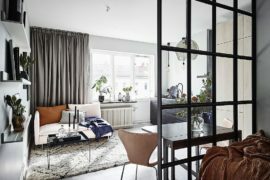 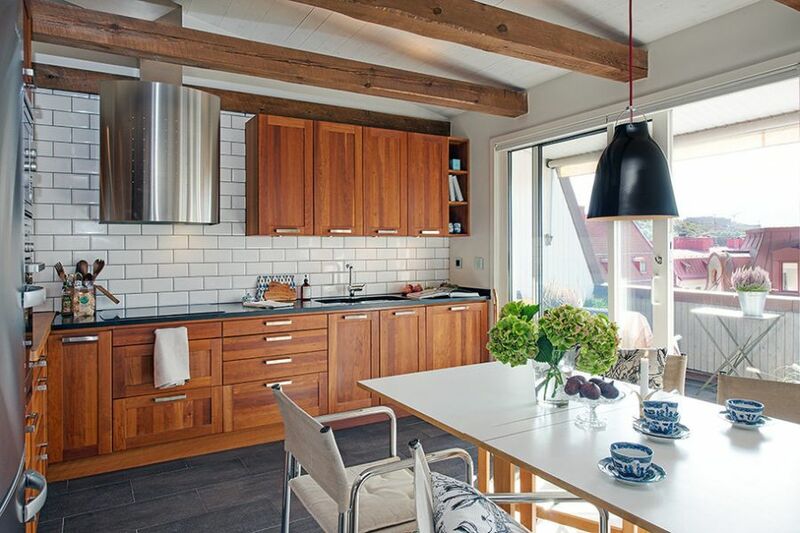 Combining hints of warm rustic elements with a multitude of colors and textures, it offers a seamless blend between Nordic design and eclectic décor. 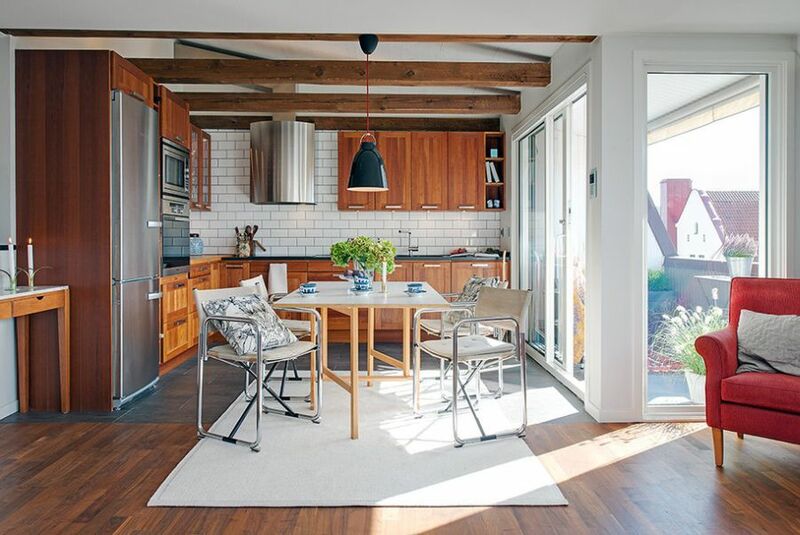 An open floor living plan greets you with the living area, the dining space and the kitchen visually connected with one another. 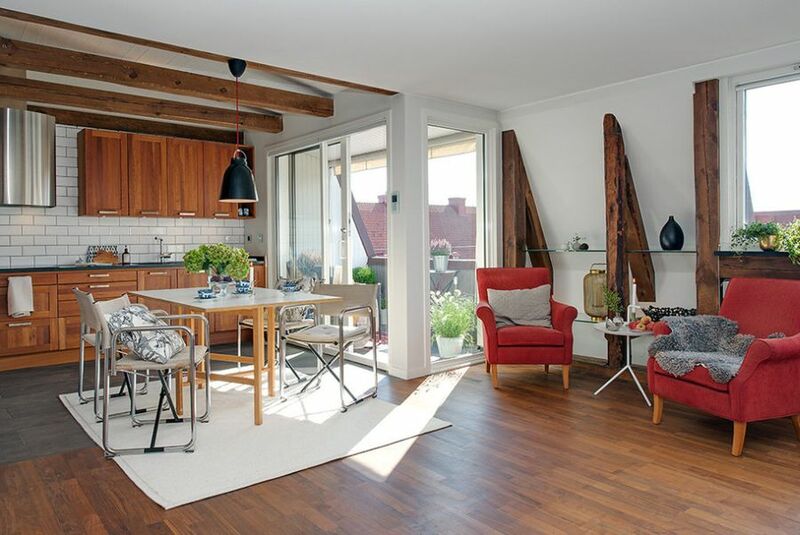 A lovely terrace next to the kitchen and dining area allows you to catch a bit of sunshine even as the large glass doors bring in plenty of natural light. 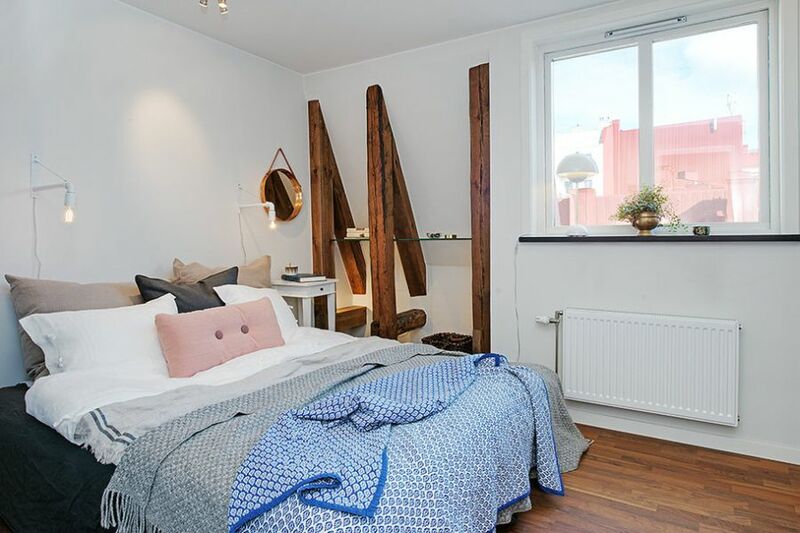 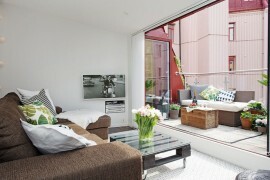 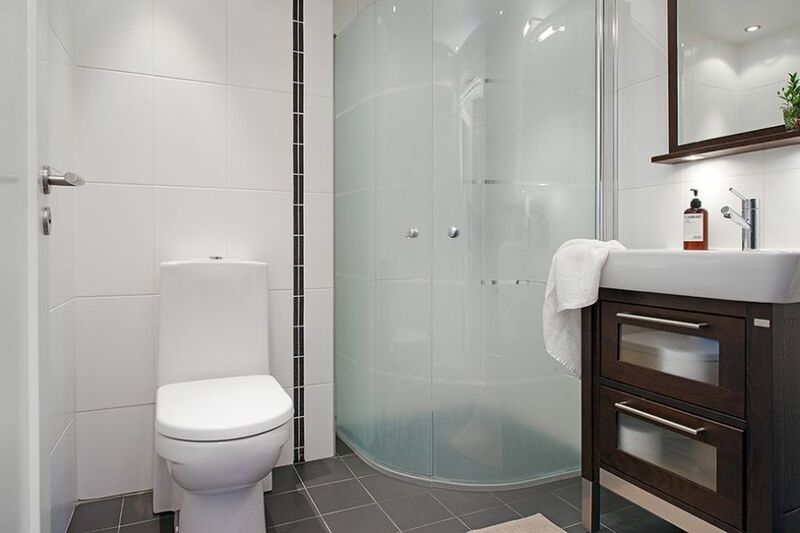 Twin bedrooms lie on one of the sides of the apartment along with two modern bathrooms. 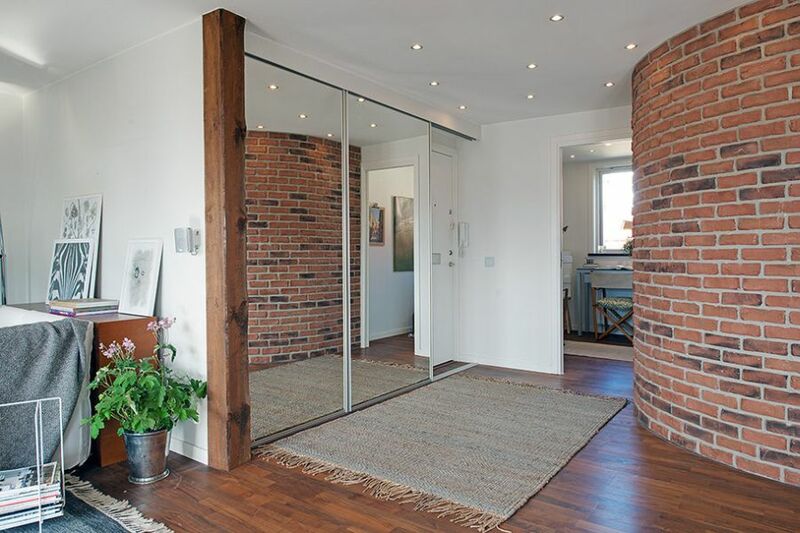 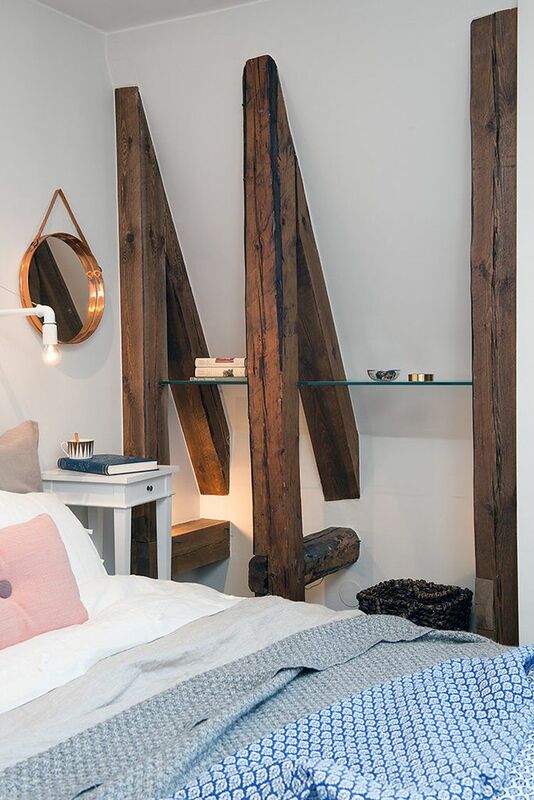 While the layout is pretty simple, it is the interesting furnishings and the exposed wooden beams that give the space a truly distinct appeal of its own. 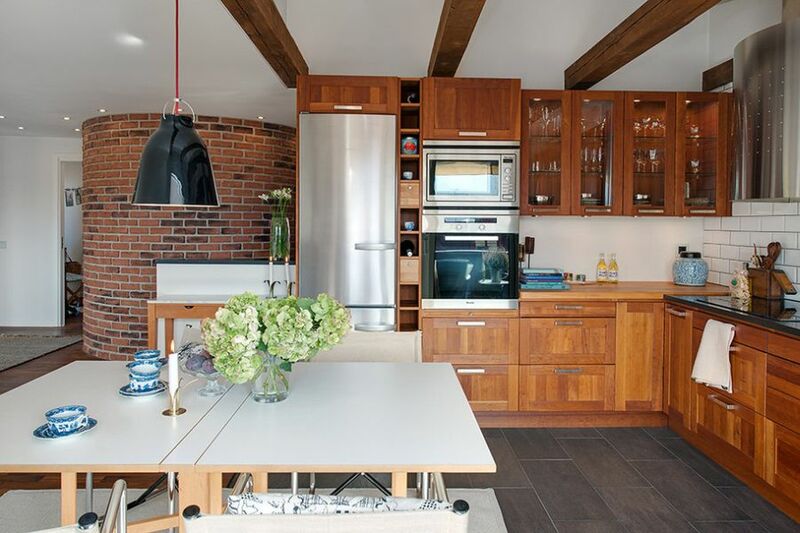 Walnut parquet floors combine elegantly with these exposed wooden beams and the kitchen shelves laced in wood to create a flowing interior. 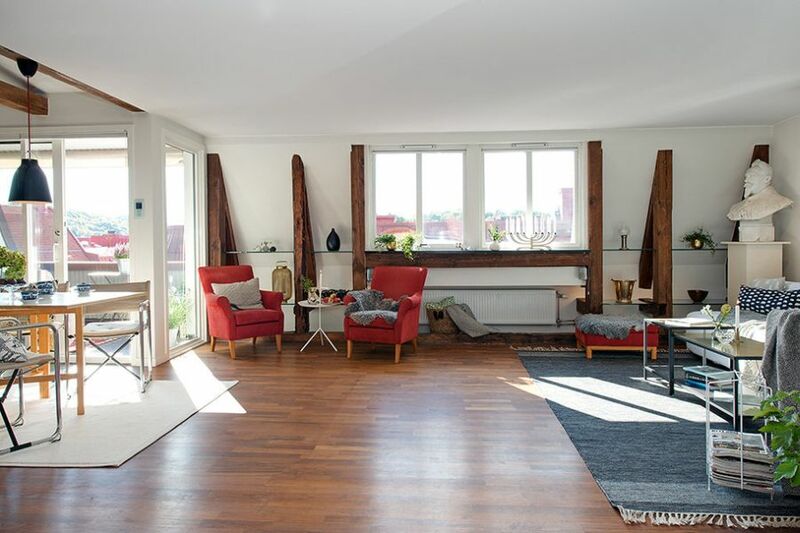 Bright red chairs in the living space, a black pendant light above the dining table, potted plants add color to the loft in a classy fashion. 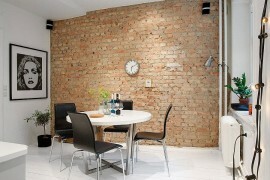 A small reading nook and an exposed, round brick wall in the dressing area complete this cool and chic apartment. 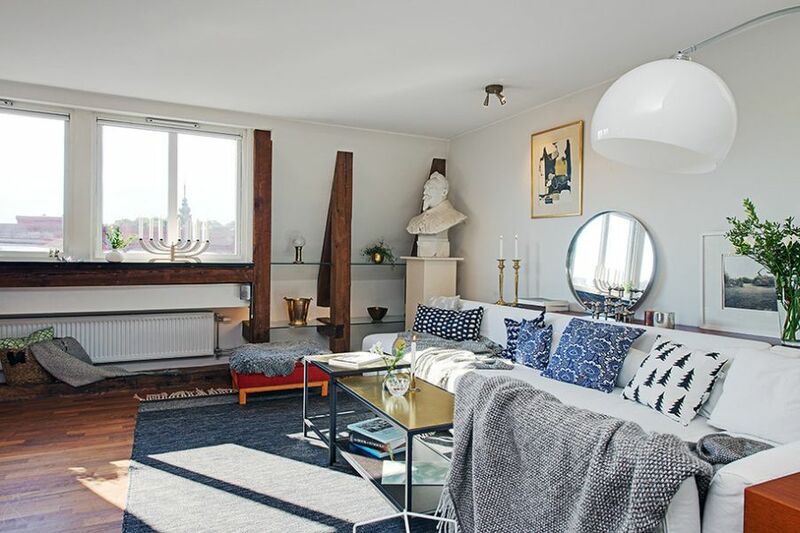 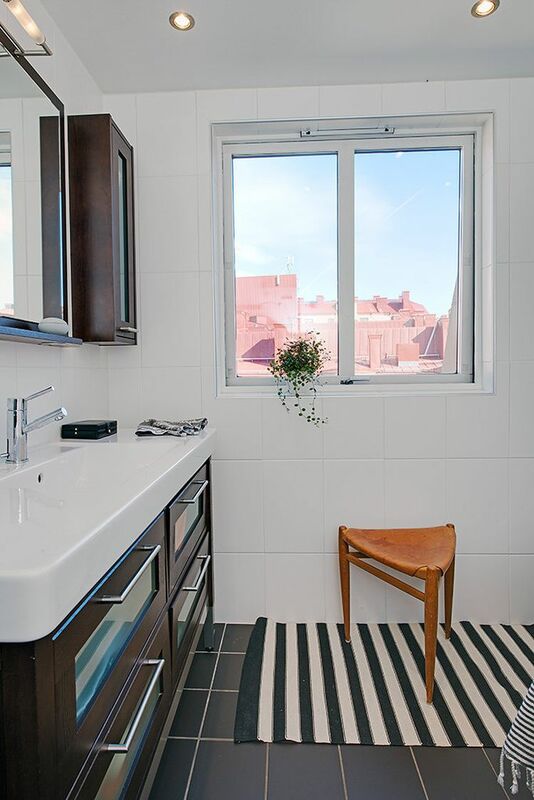 Sporting an improvised Scandinavian style, this flat is nestled on the sixth floor of a classic and gorgeous building in Gothenburg. 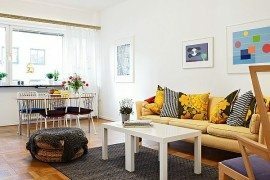 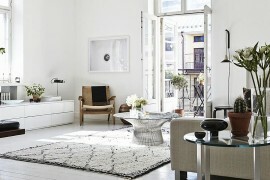 Sunny and stylish, it makes for a wonderful and cozy home!